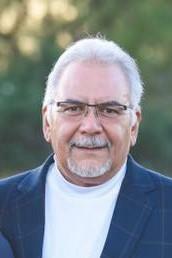 Henry Guajardo is a native Victorian and serves as the Executive Director for the Golden Crescent Workforce Development Board. He has over 20 years experience with Workforce Development, formerly working for Teaching and Mentoring Communities, who was the Workforce Contractor for the Golden Crescent, and the Golden Crescent Regional Planning Commission Older Worker Program. Henry graduated from Pan American University with a Bachelor of Arts in Political Science and History. He and his wife Sara have 4 children and 2 grandchildren. Mr. Guarjardo will be the guest speaker at the September 7th Community Leaders’ Meeting at Cuero Municipal Library at 7:30 a.m.